Your baby's sensitive skin is protected by a protective layer rich in protein, vitamins and minerals called vernics when in the womb. Vernix protects the newborn baby's skin against external influences and regulates body temperature. 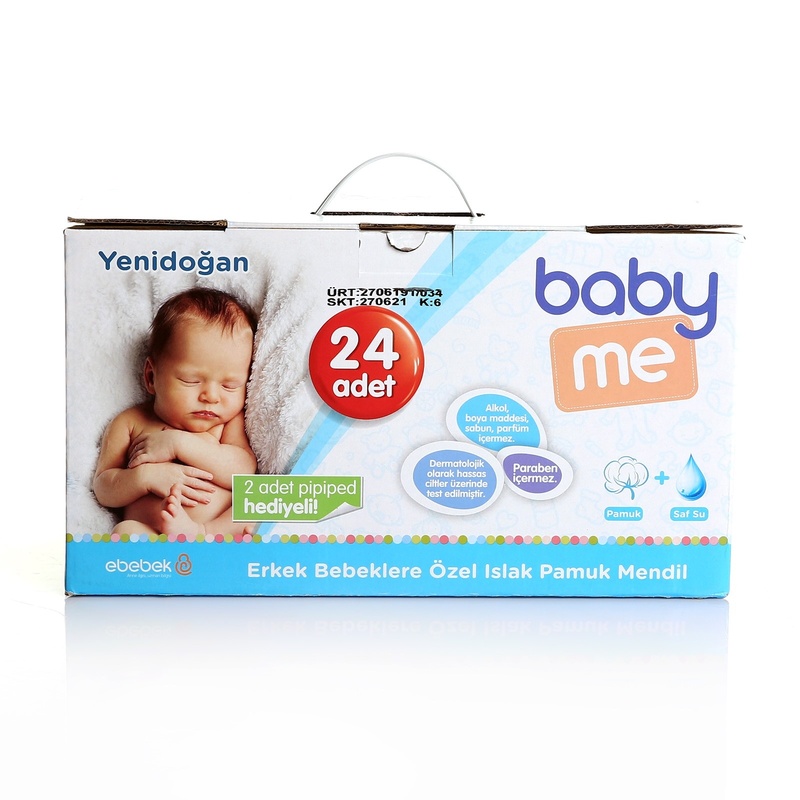 With the combination of natural cotton and water, baby&me Wet Cotton Wipes cleans safely and delicately cleanses the delicate skin of your newborn baby without damaging the varnish. 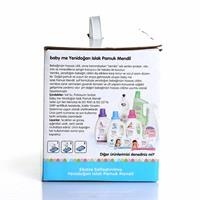 The PH value is designed to be compatible with your baby's sensitive skin. Tested on dermatologically sensitive skin. PH value is compatible with newborn skin. Alcohol, Paraben, Perfume, Sulfate, Phthalate, SLS (Sodium, Laureth Sulfate) Dye does not contain any allergens. The automatic cover is opened each time the release button is pressed. Thus, it provides mothers with one-handed ease of use.